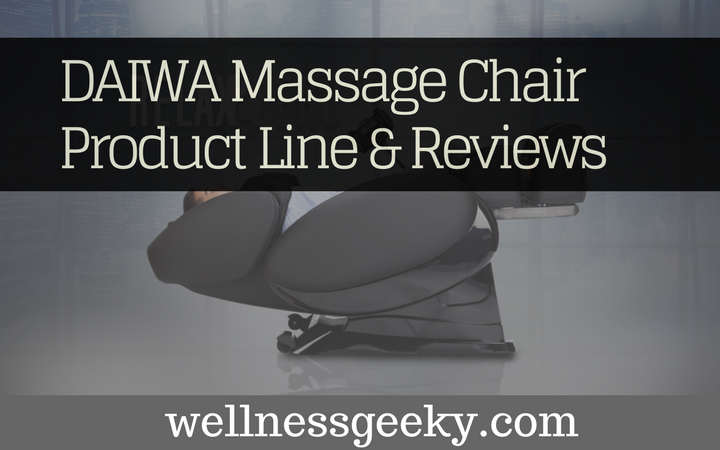 When it comes to massage chair companies, very few brands live up to the acclaim of Diawa. Diawa, meaning “great harmony” in Japanese, has been a pioneer in the high-end massage chair industry ever since the company came into existence. But are the products are worth their hype? 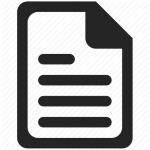 NOTE: This is the detailed product overview, so if you are busy or do not have time to read the whole article, feel free to check out the product line and reviews available – click here. Their chairs are known for its vigorous massage that has a goal to alleviate the stress associated with sore and tight muscles, body aches, and an overworked, stressed-out mind. If you are ready to invest in yourself and get all the therapeutic benefits that massage has to offer for both body and mind, Daiwa might be a brand to consider. This line is designed to stretch and pull the spine in concert with massage. It’s ideal for those with low back pain, people who suffer from chronic pain, and anyone who experiences pain associated with an inflamed sciatic nerve. All Inversion chairs recline to a full zero gravity position, which helps to relieve tension from the spine. They incorporate heat for added relaxation, stress relief, and to increase blood flow and circulation. They feature both shiatsu massage and reflexology massage. If you’ve ever sought relief from low back pain by lying on the floor and bolstering your knees, you know inverting can be a lifesaver. The Relax 2 Zero is designed with precisely that in mind. You can lower into a position where your legs are slightly higher than your heart, leaving a bend in the knee so that the calves pull in the opposite direction. This provides an excellent stretch for the lower back. It takes the weight off the spine and increases the space between each vertebra. There are 13 auto modes to choose from, and if you prefer to pick and choose your techniques and intensity manual, you can do that instead. It utilizes a scan of your body via computer to customize that is just right for the size and shape of your body. It targets the muscles on your back in their exact location to ensure the most accurate delivery. The track is built in the shape of an S, to massage against your back body precisely, hugging the curve of the spine. The lumbar section is heated, providing extra assistance is relieving pain and tension in the low back. This is especially helpful for recovering after a workout or if you have arthritis. Heat also aids in increasing blood flow and circulation. The entire chair is equipped with airbags, which fill and release, delivering compression massage to arms, thighs, calves, and shoulders. The seat and outside of thigh areas airbags press against the body and hold you tightly in the chair. This compression area accompanies twisting and swinging to release tension in the buttocks, pelvis, and thighs. The pillow cushion pad airbags inflate and deflate, stretching and massaging the neck and shoulders. The zero gravity function has two settings. One for a flat recline, and the other to raise your feet above your heart for maximum stress and tension relief. The feet and leg rollers are based on the principles of reflexology and target the nerve endings that correspond to improving blood circulation, relieving stress and muscle tension, rejuvenating your mind and outlook. There are three foot rollers that you can adjust using the foot pads, and cradles that support your ankles while the soles of your feet, ankles, and calves are being massaged. There are speakers and a USB outlet built right in, so all you have to do is plug in your favorite music or nature sounds, and you’re on your way to blissful relaxation and serenity. The 2.0 has all the same great features of the Relax 2 Zero, with two feature differences. It has three more airbags, for a total of 40, where the Relax 2 has 37. The chair is also built to withstand more body weight. It is designed for weights up to 330 pounds, as opposed to 265. Other than that, the only difference is the price, which will set you back another 200 dollars. Besides that, you get the same set of specifications as the Relax 2. Three different roller widths, the S track, and the 3D body scan to deliver a customized massage designed for your body type. It has a heated lumbar area and seat twist function for stretching the pelvis, thighs, and buttocks, providing pain and tension relief. They both have three stretch features: twist, inversion, power stretch combo. The latter combines inversion stretch, compression via shoulder airbags, and heat. This is an ideal stretching feature for anyone with pain in the low back. The heat soothes and loosens the muscles and soft tissue, and the inversion releases pressure on the spine. Air bags keep the shoulders secured and in place while the leg rest moves up and down, pulling the legs to stretch the back. All three chairs require 20 inches of wall space for a full recline. The 3D comes in only black and brown, whereas the other two also come in cream. The 3D, like both others, utilize the S track. The rollers, however, are upgraded from standard to 3D Massage. Instead of a single plane on which they glide, the 3D rollers move orbitally as well as in and out, simulating a human hand massage and going beyond the surface of the body. You can also choose between three widths for the rollers, and the computer scan is built in for contour-targeting. There’s a heated lumbar and rotational rocking. The airbags are boosted way up on this one, to 48, so you get quite a bit more compression. And instead of 13 auto programs to choose from, there are 21. You also get a remote control instead of the built-in control panel. Whereas the Relax 2 and 2.0 have built in surround sound speakers the Zero 3D offers Bluetooth wireless as well. The user weight is the same maximum limit as the 2.0, at 330 pounds. This line uses an extended L shape track of rollers that employ deep tissue kneading down the entire length of the spine, through the glutes and to the hamstrings. The rollers are extended in length to reach deep into muscles, relieving pain and tension, promoting relaxation, and alleviating stress. The shiatsu, reflexology, and zero gravity are accompanied by the addition of heat for added relaxation and blood flow. The range in price from $6,000 to $10,000. If you have a small space or just don’t want to utilize too much room, you’ll like that you only need three inches from the wall to recline fully. The L track system is extra long, so you get a deep massage from shoulders to hamstrings. You can adjust the shoulder pads to fit the length of your arms and width of your shoulders. This is a nice feature, as many chairs can feel either cramped in the arms or much too long, making you feel like you’re being pinched or about to fall out. There are 48 airbags, inflating and deflating to provide a deep, therapeutic compression massage for your whole body. From neck to ankles, the airbags increase circulation, stretch your body, and relax fatigued muscles. By pushing a button, you can control the length of the legs so no matter how tall or short you are, the chair will fit you perfectly. The 3D body scanning technology provides a customized experience to your exact specifications, and the heated lumbar loosens tight muscles and knots, relieves tension, and eases stress. There are two different zero gravity positions, one to recline entirely flat, and the other to raise your feet above your heart. This decompresses the spine and takes the weight off your bones, joints, and tendons. It also increases the distance between the vertebrae in your back for the ultimate release. You can enjoy your favorite music via Bluetooth and the built-in speakers. If foot reflexology is your jam, you’ll be sold. There are double rollers for the foot soles, foot pads, compression air bag massage for ankles and calves, and compression massaging ankle grips to hold and support your legs, ankles, and feet. You choose between manually configuring intensity you want, or choose from 18 automatic programs. All at the touch of a button on the remote control. A bump up to the Legacy will give you everything you get in the Majesty plus the rotation rocking feature, which enables you to rock as you would in a classic rocking chair. Combine with recline and zero gravity, and the rocking provides a floating sensation that is excellent for relaxing and easing a tired mind and body. You do need 20 inches of wall space to recline, so if you’re short on space, this isn’t your best bet. You get standard rollers that deliver on the L shaped track system. There are three widths to choose from, and the 3D body scan will ensure the massage you get corresponds to the contours of your bodies dimensions. There are 48 airbags for a whole-body restorative massage, head to toe, and a heated lumbar for soothing tired muscles and increasing circulation. There are two positions for the zero gravity setting, the lowest being feet above the heart for maximum decompression. You get triple rollers for foot reflexology, 18 pre-designated programs and 6 manual to choose from, and remote control. There is airbag compression massage for the calves and feet and built-in Bluetooth and speakers so you can add your favorite music. The leg length can be modified manually. Aptly named, a highly prized feature you get here is the 3D massage rollers. The reason these are so sought after is the advanced engineering, enabling the rollers to move through multiple planes. So, you don’t just get a rolling, gliding sensation, but both a circular and in and out movement, which enables the massage to move deep into your muscles. This is the closest you can come to mimicking a human touch. There are 48 air bags, delivering whole body massage on the L track. It comes with 21 auto—three more than the Legacy and Majesty—and six manual programs. The lumbar is heated, and you can make changes to settings via the remote control. Bluetooth audio and surround sound speakers are built in, and you get triple rollers in the feet for reflexology massage. 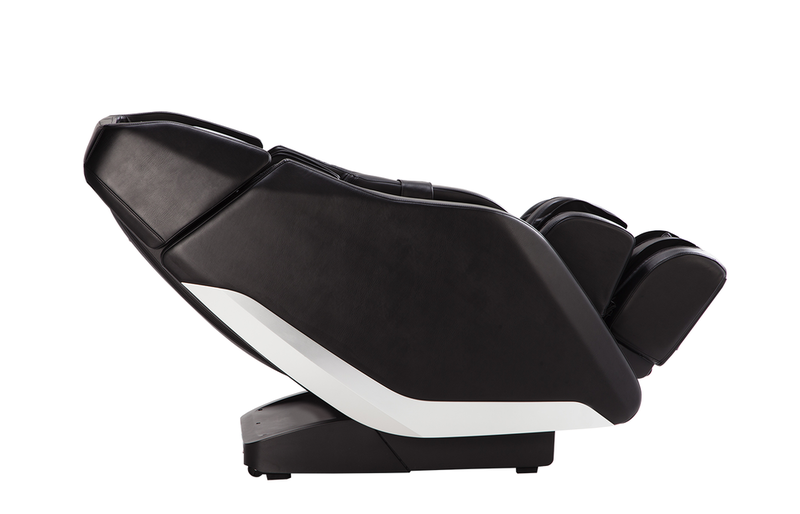 The zero gravity feature allows you to recline fully flat or beyond flat to raise your feet above your heart. This is great for relieving tension in the spine and pain in the back, especially the lower area. The computer scanning technology ensures a massage tailored just for you, and with the rocking setting, you can rock your way to added restfulness. The mechanical leg extender enables you to adjust the legs to fit your height. The top of the line Pegasus is built for larger dimensions. It provides extra width in the shoulder area and is capable of handling weight up to 330 pounds. It also includes an Android app and speakers. There are 21 auto programs and six manual you can change or adjust via the remote control. There are three rollers in the feet for reflexology. There’s special attention to detail being paid to the lower body in this option, as it features a superb, luxurious air bag compression calf massage in addition to the soft foot pads and rollers. The ankle grips support the feet and lower legs, and the squeezing motion of the air bags, melts away tight muscle pain, knots, and stress. You can adjust the width of the legs manually and recline into both fully flat and beyond flat zero gravity positions. There are 40 air bags neck to toe, and the rocking features allow you to add rocking sensation. The 3D rollers deliver the ultimate deep tissue massage on the L track, from neck to hamstrings. The computer scans your body and designs a corresponding massage designed for your dimensions. You need 20 inches of wall space to recline fully. The Pegasus is an awesome machine, packed with features, but unless you need the shoulder width or added weight specification, and if you can live without the Android compatibility, you can save yourself a thousand dollars with the Legacy 3D and still get an excellent feature-rich chair. We love the Daiwa massage chair line, and it's right up there when it comes to technology and engineering. Is it worth the hefty price tag? Yes, with a couple of caveats. 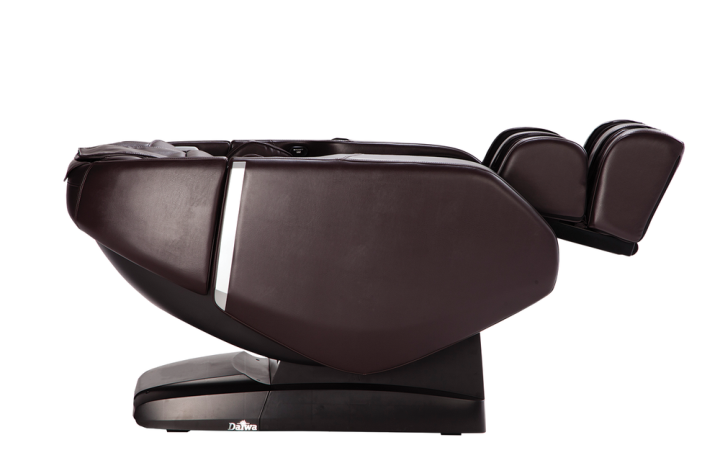 These are high-quality machines, built to last, utilizing the very latest in massage capabilities. They deliver. However, make no mistake. The massage is intense and vigorous. If you are someone who likes a gentler touch, look elsewhere. Secondly, price. Can you get a similar chair for less money? Yes. 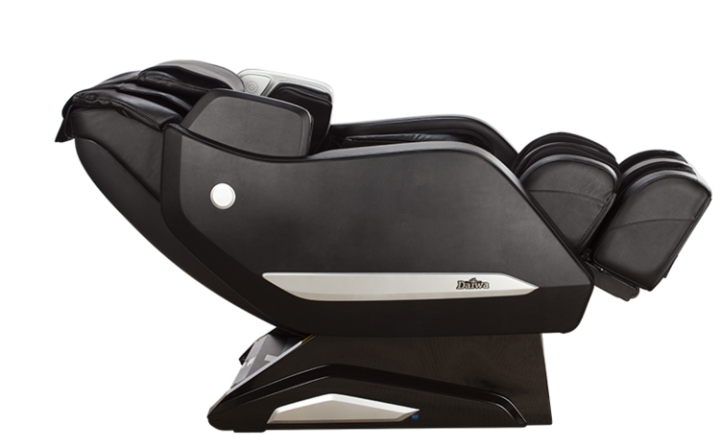 Daiwa massage chair is meant to appeal to those who seek luxury and desire royalty-like products. If that's you, you will love this product line. If you're a bit more budget conscious, you can look around in another store and find something that will fit your bill for less.